It is a must for every hunter, regardless if you’re still a novice or already a professional, to own a hunting knife. A hunting knife offers a variety of uses including fish cleaning, cutting a rope or thin twigs, dressing a deer, or even defending yourself from anything that could attack you in the forest. Hence, for this post, we are going to review the top 12 best-hunting knives from Gerber. This company is known for manufacturing sharp and durable hunting knives. The following are the best of their products that will make your hunting experience more comfortable and a lot better. 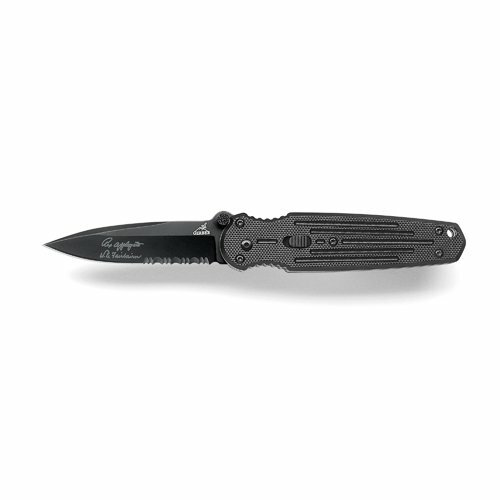 If you are looking for a quality serrated knife, check out their other product, the ultimate knife from Gerber and Bear Grylls. Compared to other products, it features an innovative design to provide optimal convenience and comfort when using. It also has a ½ serrated high-carbon stainless steel blade that’s built to last. This hunting knife is ideal for cutting rope or edge retention. It also features a textured rubber grip to reduce fatigue and risks of slipping while using the product. Its stainless steel pommel at the base of the handle can act as a hammer. This military-grade sheath is lightweight and can fit into any standard back pockets. Rest assured that the sheath is resistant to mildew and rotting. You can also find the striker notch at the back of the blade, allowing you to start fires during camping and hunting easily. 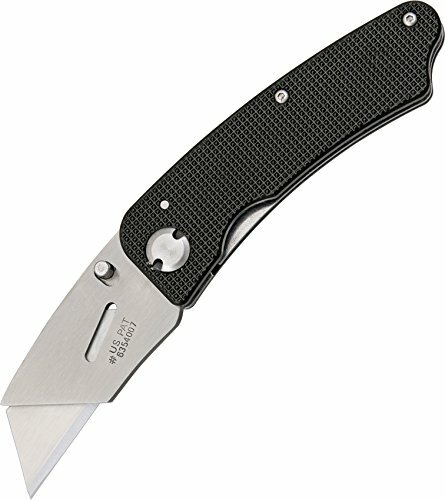 We also have the Gerber Bear Grylls Folding Sheath Lockback Knife that you can fold into a compact size when not in use. This hunting knife will allow you to increase your survival rate at the woods. It has a 3.6-inch carbon stainless steel drop point blade, excellent for edge retention. Thanks to its combo edge blade, you can use a serrated edge or a straight edge, whichever you like. It also features a stable nylon handle feature that allows you to work with the hunting knife for hours and never experience any fatigue at all. The dual-sided thumb stud is perfect for single-hand opening. Its sturdy lock back mechanism is designed to prioritize the safety of the user. The package includes a military-grade sheath along with a survival guide from Bear Grylls. 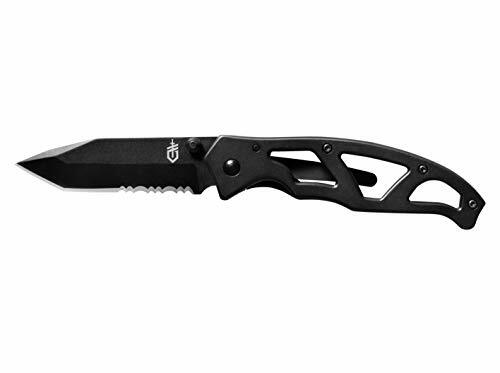 Check out this sleek-looking Gerber Paraframe mini knife. It is one of the most affordable models we’ve found in the market so far. This non-serrated knife is perfect for your recreational hunting, especially if you are on a tight budget. The blade is made of stainless steel and measures 2.2 inches only. It’s lightweight and portable. You can slip it inside your pocket when not in use. This hunting knife is designed to do more intricate work. Thanks to its robust construction, even a hunting knife as small as this can help you survive while in the woods. You might want to check out this non-serrated folding hunting knife from Gerber Paraframe. It features a three-inch-high carbon stainless steel blade that can cut almost anything and a stainless steel handle for a solid grip. Its frame lock mechanism is reliable and convenient at all times. Thanks to its ideal size, bringing this hunting knife with you anywhere you go is not a problem. You can open the blade using a single hand thanks to its thumb stud. Its lightweight and ergonomic design make it an ideal choice for both novice and professional hunters. You can easily carry this hunting knife in a pack, coat pocket, or using its solid pocket clip. If you have extra budget, take a look at the Gerber Mini Covert Fast Serrated Edge Folding Knife that deploys faster than any other Gerber hunting knives product. With just a flick of your thumb, this hunting knife is ready to use. Thanks to its ideal size, this is the perfect hunting knife for your everyday use. It also comes with a classic Applegate Fairbairn blade design that’s built to last. The blade, on the other hand, is made of steel with a titanium coating. In that way, you are more confident cutting through twigs and branches. The G-10 grip panels with a tacky texture allow you to gain full control of the knife when using. 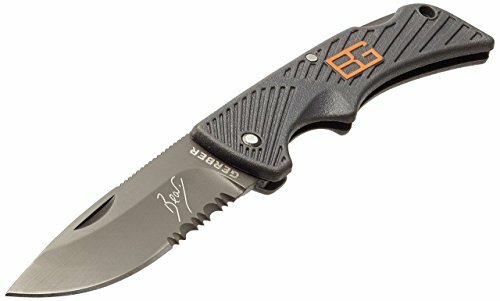 Introducing one of the best-selling hunting knives from Gerber Bear Grylls is this all-new lock back pocket knife with a lightweight blade. This hunting knife is designed to suit any outdoor activities that you are planning to do. The 3.25-inch blade is made of high carbon stainless steel that’s perfect for edge retention. It can be used as a straight or serrated blade, whichever the situation calls for. Also, this knife has a durable nylon handle with textured TacHide that allows you to attain optimal comfort when using the product. Its dual-sided thumb stud is designed for single-hand operation. This hunting knife also has a solid lock back mechanism for safer operation. The low rise pocket clip allows you to bring it anywhere you want. The package includes a weatherproof survival guide from Bear Grylls as well. 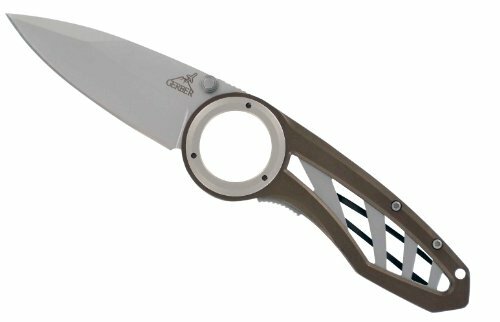 We also have the Gerber Remix Fine Edge folding knife. This hunting knife is lightweight yet durable. Thanks to its stable one-handed operation, you can use it in action in just a flick of the thumb. The large finger hole is designed to provide optimal comfort while you’re using the product. It also features a titanium nitride-coated aluminum handles and thumb stud. The blade length of this hunting knife is 2 7/8 inches, and its overall height is 7 3/8 inches. This is the perfect knife if you are on a budget but still wanted to experience premium quality hunting knife for your hunting experiences. 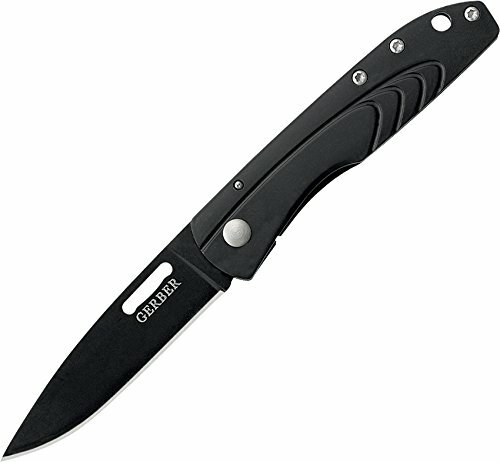 We also have the Gerber Exchange-A-Blade pocket knife. This hunting knife is the combination of optimal convenience and powerful cutting ability. You can use a standard utility blade or a contractor grade blade, allowing you to benefit from its wide variety. Also, its easy-to-use design allows you to replace the blades with no hassle at all. It has a deep finger groove that provides full control when you are using the product. You can use the handle as double pocket or money clip. The blade measures 2.25 inches only. 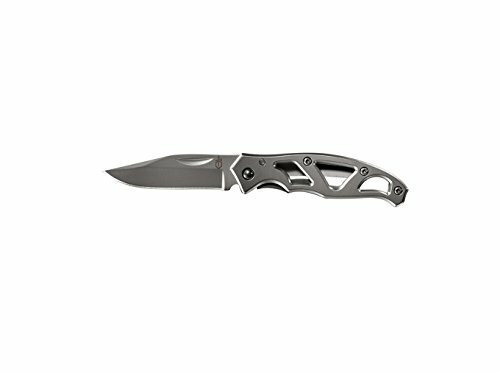 For the last product, we have the STL 2.0 and 2.5 Drop Point Knife from Gerber. Now you can hunt in style and comfort thanks to this hunting knife. Its single-blade drop point knife features a sharp and fine edge. The blade is made of 440A stainless steel with a titanium PVD coating. Also, a thumb slot for a one-handed opening and a frame locking mechanism is featured in this product. Buyers can enjoy the manufacturer’s limited lifetime warranty upon purchasing the hunting knife.